Live The Beach Life at Lands End Condominiums. 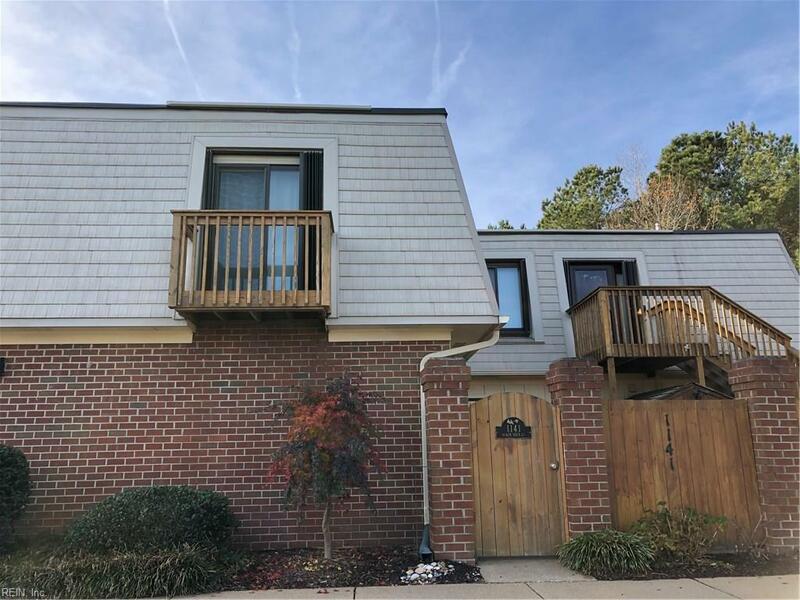 Charming first floor condo offers carefree living just 1 mile to the Virginia Beach oceanfront. Open living concept with kitchen, living and dining area. Spacious living area with wood burning fireplace and low maintenance laminate floor. Dining area has new chandelier. New laminate wood flooring in bedrooms. Master suite has dual closets with new bifold doors. Full bath updated with new vanity, tile floor, lighting and more. Fenced patio perfect for outdoor entertaining. Storage shed for beach gear and bikes. All appliances and vertical blinds convey. Poly pipes have been replaced. Two pets allowed up to 40 lbs. each. Reserved parking space 21B1 and ample unnumbered spaces for guests. Water and sewer are billed separate from condo dues. Enjoy entertainment, restaurants and Marshview Park nearby.